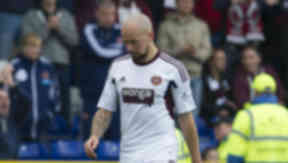 Referee John Beaton wrongly sent the stand-in skipper off for handball. Hearts look likely to appeal after Jamie Hamill was sent off for deliberate handball. Replays clearly show that the ball struck the defender on the head. Referee John Beaton pointed to the spot and red carded the defender, who will miss Hearts' next league match against Celtic. 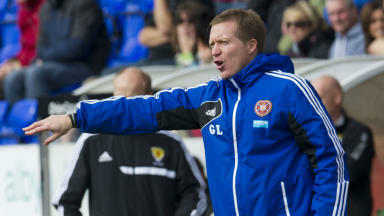 After the game, which Inverness won 2-0 to maintain their three point lead at the top of the Premiership, Gary Locke said he did not want to use the decision as an excuse for the defeat. He said: "I spoke to Jamie Hamill after the game and he said the ball hit him on the head, but when I spoke to the referee, he said it was handball. "It's a difficult one, but I don't really want to make too much of it as I don't want to make any excuses."